Once, when Hermes was baby he decided to go out exploring, when he was out he spotted a few of Apollo’s cows, Apollo was his big brother. Hermes thought it would be a lot of fun if he stole some of Apollo’s cows. After his day of exploring he decided to cook one of the Apollo’s cows and eat it for lunch, but then Hermes became worried that he’d get hungry again therefore he went out and stole more of his cows. He gathered more of Apollo’s cattle, but on his way home he spotted a tortoise shell. He took the tortoise shell home and attached strings and finally made a lyre. When Apollo found Hermes he was so angry that Hermes had stolen his cattle. Hermes felt bad and so to make amends he gave Apollo his lyre he made from the tortoise shell and that is why Apollo carries his lyre with him. 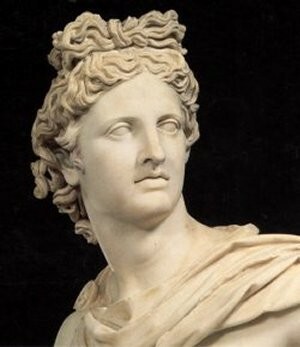 Apollo is the god of music, light and truth. He owns a lyre that he carries around and plays. He is the son of Zeus his twin sister is Artemis. 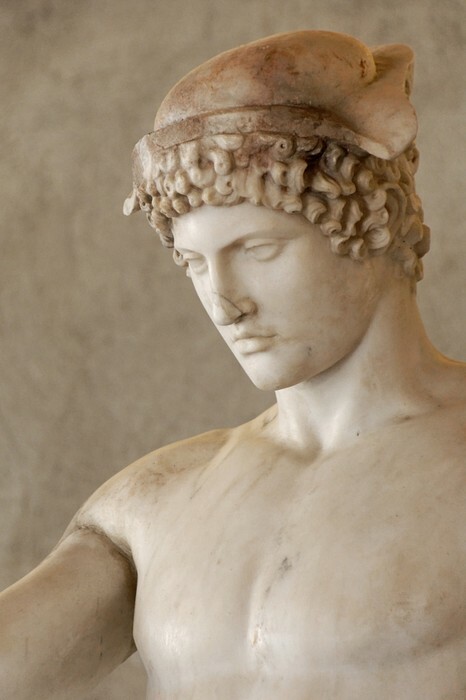 Hermes is the messenger of the gods and he's also the fastest god. Although most importantly he guides the dead to the underworld. Zeus is the father of Apollo and Hermes. Zeus is the god of the sky.